I love veggies, and that I really, really enjoy going to grocery shops, farmers markets and any other location where I have a chance of finding something yummy and intriguing. It is like an adventure, particularly when I see the specialty shops and see whether they have something new which I’ve never needed yet. The only drawback is that buying all that produce is not exactly affordable, and it’s even worse if you are looking for your best to buy organic whenever possible. The great thing about plants, however, is that they’re exceptionally resilient and have their very own built-in survival mechanics which allow them to regenerate themselves. With a lot of veggies, even if you can find the root or the seed and germinate it into water for some time, it is possible to eventually replant it to get a brand new plant! You can literally get a onion now, eat this, and then plant the origin to get another onion free of charge (though it will take a time. If you’ve got a green thumb, or a hankering to grow one, have a look at these tips to get you started. 1. Spring Onions: Put the roots underwater, preferably in a transparent glass with good light. Within a couple of days, it will begin growing and you’re able to transfer to dirt. 2. Garlic: Larger garlic cloves can be planted into the ground by using their root ends still attached. The shoots are actually pretty yummy! 3. Bok Choy (Chinese Cabbage): Completely submerge the roots of the plant and depart in a well-lit room. Following a couple weeks, it needs to be ready to be planted to a pot. 4. Carrots: Place carrot tops in water , and see them grow. 5. Basil: Require basil shoots around one-and-a-half inches long and set them in a glass of water from direct sunlight. After a couple of days when they’re roughly doubled in size, replant the shoots in your backyard and you’re going to have a gorgeous basil plant in no time. 6. Celery: Cut off the base the celery and set it in warm water. Let it get loads of light and as soon as you get leaves and new stalks appearing in the center, you can place it in the ground to keep increasing. 7. Romaine Lettuce: With a similar process to celery, then soak the root cause water till leaves begin to grow in the center, then replant from dirt. 8. Cilantro (a.k.a. Coriander): Submerge the stalks in water. 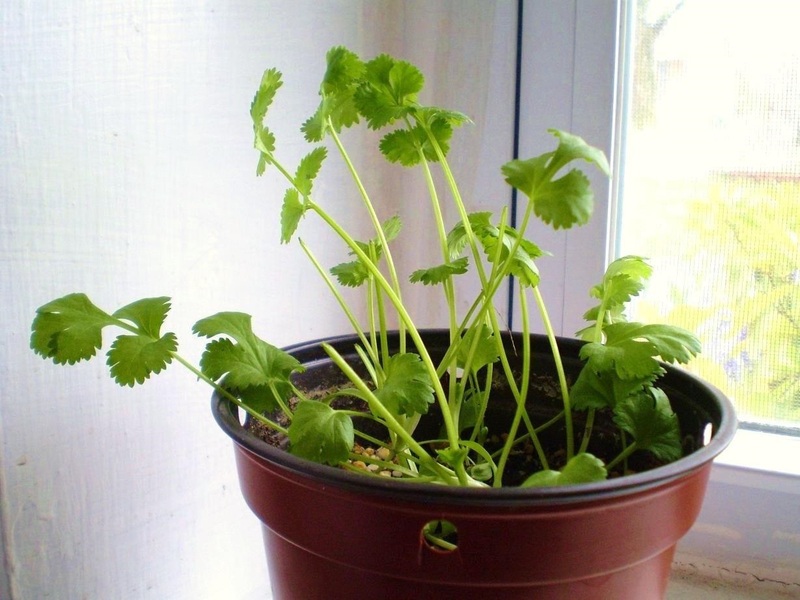 Once the plant starts growing a little, replant in dirt.